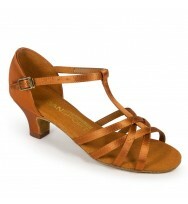 Product Description The 'G1011' in Tan Satin is one of International Dansport Basic styles av.. The 'G1012' in Tan Satin is one of International Dansport Basic styles available for Girls. The p.. 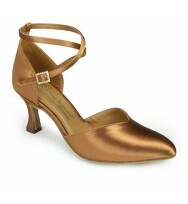 The 'ICS SuperStar SingleStrap' in Flesh Satin is a much sought after style for the Ballroom. Onl.. The ‘American Smooth’ is traditional Smooth shoe in Tan Satin. The ankle strap offers excelle.. The 'Bela' is a beautiful five-strap T-Bar style that was introduced in 2011 that is very tidy an.. The ‘C2005’ in Flesh Satin is one of International Dansport Collection styles for Ladies Standard..
'Contra' is a new Ballroom style, offering a new heel design which brings greater shock absorptio..
‘Heather’ is traditional teaching and practice shoe and is widely used across all levels of d..
'Katarina' is a new style for the 2012/2013 season and it's unique, with an innovative, intricate.. The ‘MST’ is Dansport Basic Collection styles for Men. This is a Full-Sole shoe for Latin, which .. The ‘MT’ is one of International Dansport Basic Collection styles for Men. This is a Full-Sole sh.. 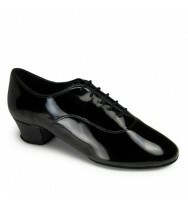 The 'Rumba' is the most popular Men's Latin style in the collection. The model offers great flexi.. The 'S4014' in Tan Satin is one of International Dansport Basic styles available for Ladies Latin..